Krum just recently finished his professional career playing for several teams in Europe: He started with Levski Sofia, joining the 2nd team of Bayern Munich as his first pro contract and played for teams in Bulgaria (Levski and Lokomotive Sofia), Rumania (Steaua Bukarest), Portugal (Penafiel) and other places to reach 334 professional games. As forward he played one International game for Bulgaria. 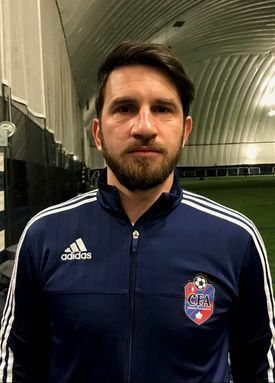 He has coached U12/U13 teams in Bulgaria and also holds the UEFA B coaching license. Beside coaching at CFA he also coaches the Scarborough men’s team in the OSL.